St. Louis’s best comfort food festival comes to Forest Park on Saturday, September 22nd as local restaurants compete for the title of “Greatest Grilled Cheese” and all the bragging rights that come along with it. Not only is this a chance to experience the ultimate companions to tomato soup, but you’ll also learn about organizations supporting individuals with disabilities here in St. Louis each and every day. The event is being held at Forest Park between the History Museum and the Visitor’s Center, just adjacent to the Dennis & Judith Jones Variety Wonderland Playground, a half-acre, state-of-the-art playground specifically designed for all children — able-bodied and those with disabilities. Tickets are $25, must be purchased in advance and are LIMITED. Kids under 12 are free! Kids under 12 get in free, but pay by the sample. Parking and tickets will be limited. Event held rain or shine! BE THERE and Say Cheese! QUESTIONS? 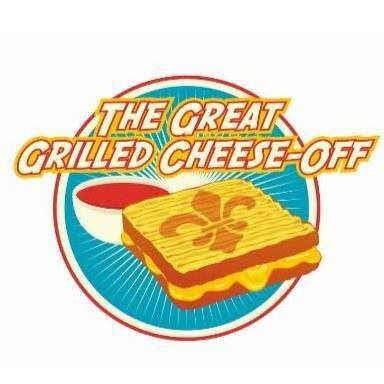 Send us a note on Facebook or email greatgrillcheeseoff@gmail.com. This is an event hosted by the 50 Roses Foundation to raise awareness for our non-profit partners.